It's a total coincidence that I posted Coupons right after Airlines. I think the universe is trying to tell me something, time for me to travel, haha. 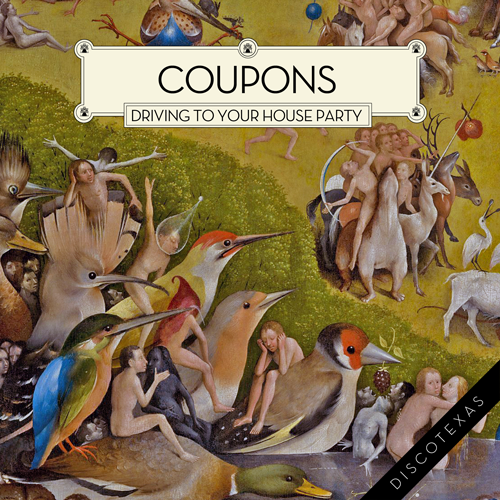 Coupons is an Australian electronic duo on Discotexas. Their label contacted us with word on their latest release "Driving to Your House" which is like an old time maxi single ft the track plus a bunch of remixes. Loving them all, in particular the original is my favorite! An amazing driving electronic dance track that I can't wait to play out. I guess Australia strikes again. Wonder if their momentum will ever run out. I sure hope not! You can stream the entire release on their souncloud below and purchase the tracks on Beatport. The last two remixes by CVLT and Dreams are available as free downloads. The CVLT remix is a pretty ace dance floor jam whereas the Dreams remix as the name implies is a more dreamy, atmospheric incarnation. Although it does hit harder around the 3 min mark.